Three years ago after a long and deliberate process, our school adopted an American Studies to replace our traditional US History and American Literature curriculum. The inspiration for this course which currently serves 2/3 of our junior class came both from my and my co-teacher’s American Studies backgrounds and our frustration with the apparent and unnecessary disconnect between our US History and American Literature courses. Oftentimes, students would be studying Antebellum America while reading The Great Gatsby, and students weren’t given the opportunity to see the inherent connections between the historical period of a text and the text itself. Furthermore, they seemed to see the skills they learned about close reading and critical thinking in each class as distinct and separate and only applicable to each specific discipline. In rethinking how we could best serve our students, we wanted more than just a chronological alignment of the curriculum. We wanted to give them both the tools and resources to be able to see and understand a fuller picture of how history and culture inform and are informed by each other. Furthermore, we wanted them to see that the tools of textual analysis and critical thinking apply to all kinds of texts, and we wanted to be able to serve all of our students, both high end and struggling learners better in a heterogeneous and team-taught class. 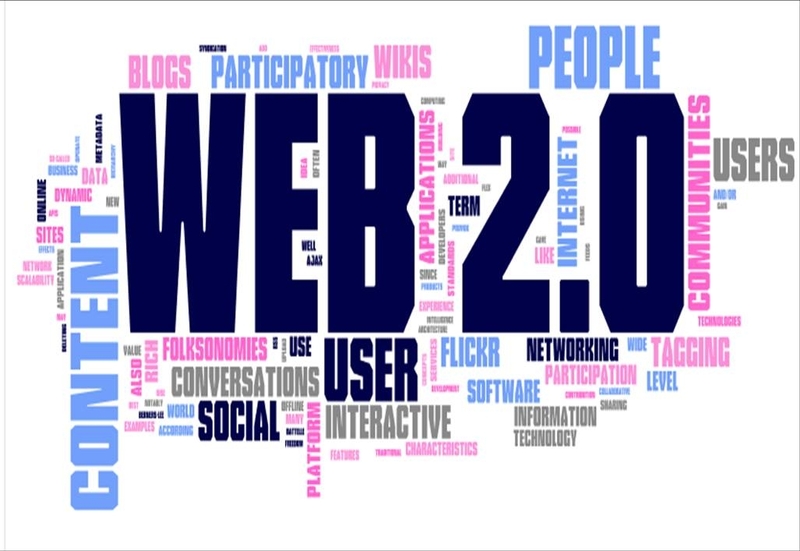 The course we came up with integrates a variety of web 2.0 platforms, many types of texts (including readings, images, films, and songs), and different modes of learning that enable us to differentiate and meet the needs of a diverse student body. A sample lesson might include reading Mary Rowlandson’s Narrative of the Captivity and Restoration “To My Dear and Loving Husband” and “On the Burning of Our House” by Anne Bradstreet while examining documents from Digital History to see points of connection and disconnection between Puritan ideals and real, lived experience. We use both traditional and 21st century types of assessments. Students blog, write lengthy research papers on a topic of their choice related to American History, create websites about artifacts from the University of Virginia’s Special Collections, present on supreme court cases, and regularly participate in seminar discussions to name just a few of our modes of assessment. Right now, we are currently reading Faulkner’s As I Lay Dying (see lesson plan for the opening day) and studying the Great Depression using many different kinds of images including WPA posters and photographs. Our students each analyzed contribution of the WPA for homework last night. Some of which can be found at our class blog. The course continues to evolve and we continue to refine it, but we have been pleased with the success of our students of all levels. We have been able to prepare a significant number of our students to earn college credit worthy scores on the APUSH exam while at the same time helping students who had previously struggled in our former discipline specific curriculum really thrive. I could write pages and pages, and I will. Consider this post just a brief introduction to our program. Google Docs and the Dreaded Research Paper. Google docs has transformed the writing instruction of the classes I teach. Prior to our school’s adoption of Google Aps, I gave significant feedback on the margins of student papers. I also used the comment boxes in Pages or MSWord when my students began to hand in their papers electronically via email. I liked the freedom that the infinite space of the comment box gave me. This space enabled me to rework students sentences and to specifically and directly target individual words and sentences. It did take a bit longer as I found myself giving more feedback, but ultimately I liked the improvements I saw in my students writing as a result of the increase in comments I was able to give them. Two years ago, when I began using google docs to comment and grade my papers, I thought that it would be similar to the use of a word processing program. I thought the main benefit would be that I wouldn’t have to email my students their corrected papers. Yet, I vastly underestimated the benefit of using google docs. I can say without a doubt that because of google docs our students receive better and more thorough writing instruction, and they are becoming stronger writers because of it. Our American Studies students, I say we because I team teach, write 10-12 page research papers during the second trimester. Students submit focused thesis paragraphs, very thorough outlines, first drafts and final drafts. For the most part( I do not require it because all of my students don’t have internet access at home), students use google docs to submit each part of their papers and I use the comment feature to give them feedback. This lengthy process has been made much richer because of the amount, quality, and responsiveness of the feedback students received on all parts of the process. Realtime Feedback: The ability to give students real time feedback on their writing is what I love most. Often times we can either sit together looking at the same screen or I can get online with them, comment and give them instant feedback as they rework their writing. The Comment Box: The unlimited room of the comment box and the ability to tag individual words or complete sentences makes it clear to the student exactly what part of their writing you are talking about and gives you the opportunity to give them examples of ways to improve or enhance their papers. Accountability: Students, once they share their documents, enable you to see exactly where they are with the writing process. This is especially important when they are undertaking major assignments like research papers. Convenience: The google doc is convenient in all of the obvious ways, but the ability for students to “resolve” your comments makes their editing easier and more focused. TIME: You can and do spend more time with each individual paper. Although I do think that the benefit of seeing multiple drafts means that the final draft requires much less reworking.